We would like to thank all our buyers for helping us achieve this milestone. Thank you. Step 1: Find your car's VIN number. 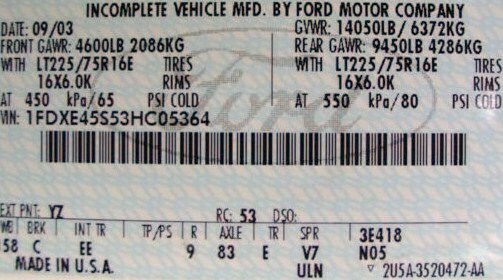 A vehicle's VIN (Vehicle Identification Number) is a unique-to-your-car 17-digit number. This is available in several places in your car, but the most accessible one by far is the driver-side door jamb. Also, in many states it will be in your car's registration. Step 2: Decode Your Car's VIN Number. 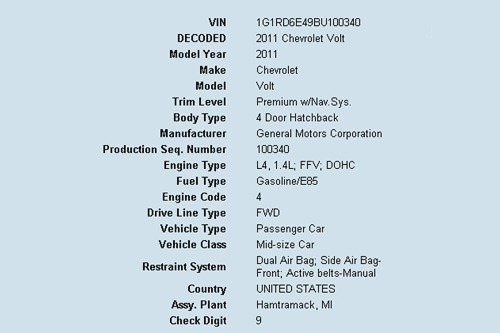 The VIN number contains clues as to your car's make, model, trim and specs. Once open a time, car guys had to remember how to decode them. Today, it is the age of the internet and there are several online tools, such as this one that will decode your VIN for you. Step 3: Match Up your Car's Info with Our Vehicle Selection Tool. When we creating Gripforce.com, our vision for the site was a place where everyone, regardless of automotive knowledge, could find all the clutch that fit their car and compare them quickly and efficiently. The process of creating a catalog system that would separate the products into make, model, year, engine and in some cases product type and then cataloging all the products was an ardous one. So, was creating the vehicle lookup that it uses. But in the end all of this effort was worth it as you help make Gripforce.com the Number 1 Ecommerce Website for Clutches and Clutch Accessories.